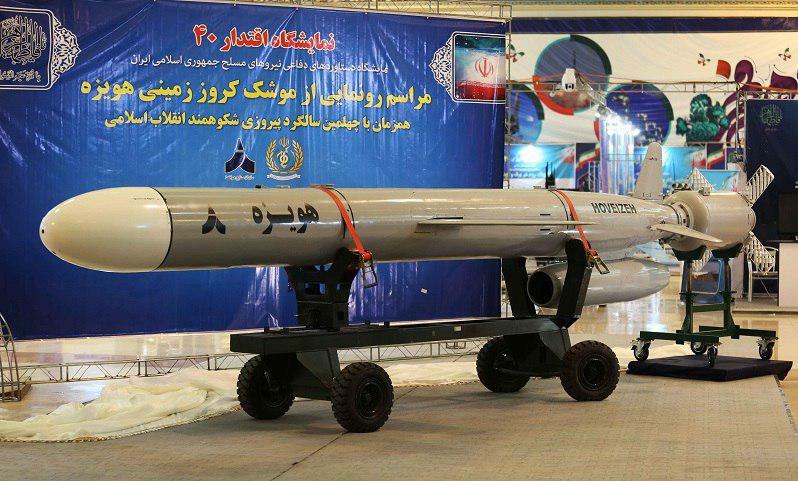 Iran on Saturday unveiled a new cruise missile with a range of 1,350 kilometres, developed by experts at the Iranian Defence Ministry’s Aerospace Industries Organization. “Hoveizeh has a range of over 1,350 kilometres and is used against fixed ground targets,” Defence Minister Brigadier General Amir Hatami said during the unveiling ceremony. “The Hoveizeh cruise missile was test-fired and managed to accurately hit targets at a distance of 1,200 kilometres,” he said. The missile was unveiled in an exhibition of Iran’s defensive achievements, which is being held ahead of the 40th anniversary of the victory of Iran’s 1979 Islamic Revolution. 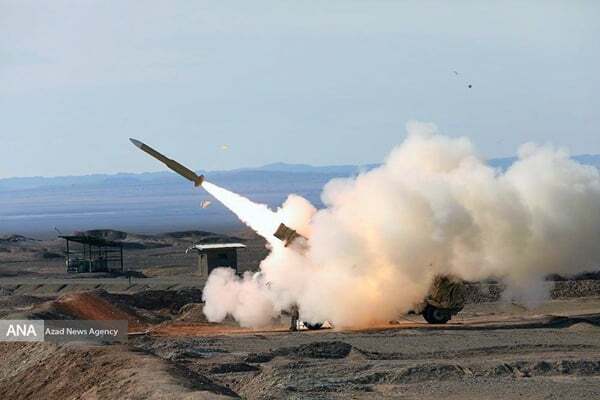 Iran’s missile program has made great progress in recent years, with the Iranian military developing dozens of home-grown ballistic and non-ballistic missiles.